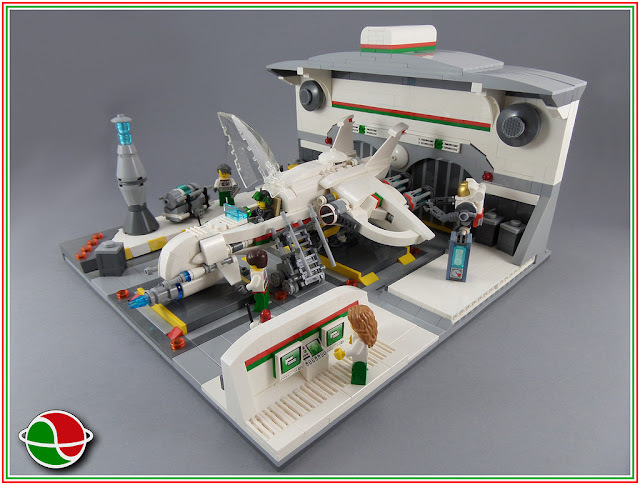 This impressive spaceship hangar diorama featuring the experimental fighter OF-178x "Hawk" was built and shared recently by LEGO Fan and Eurobricks member BobDeQuatre. This MOC is built for for Andromeda's Gates on Eurobricks. Complete Studless design makes this MOC look clean and great. The builder also shared seperate photos of the fighter itself in his photo-stream.